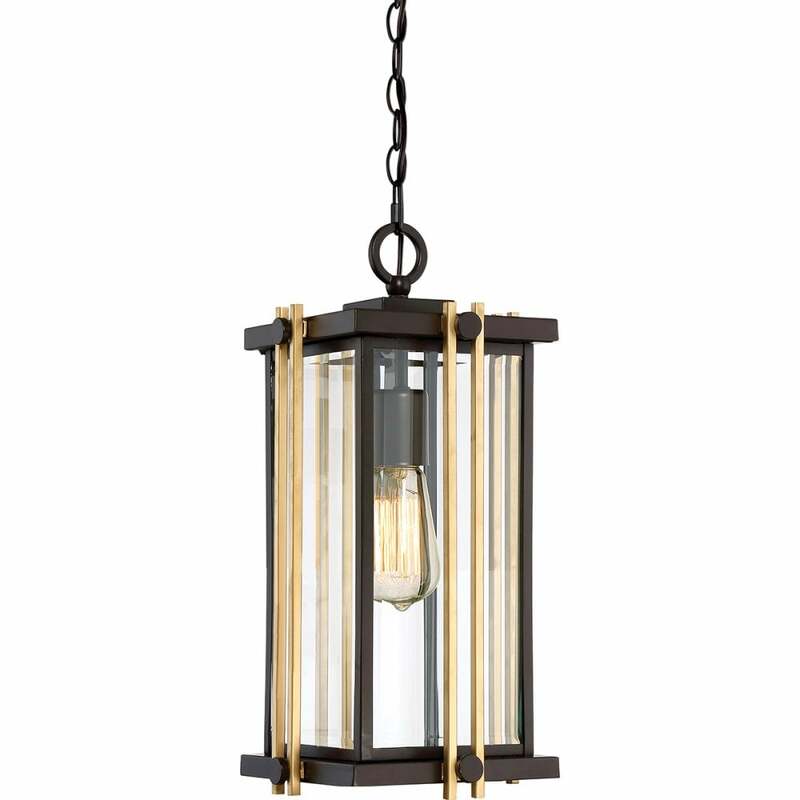 Elstead Lighting Quoizel Goldenrod single light pendant lantern features a decorative chain and finial supporting a cuboid style frame all in a western bronze finish with bevelled clear glass panels. The product code for this Elstead pendant is QZ/GOLDENROD8/M. The Goldenrod range by Quoizel is reminiscent of the Mid-century updated with robust angular lines and stunning gold rods which enhance the simplistic style adding an innovative look to the classically designed traditional lantern. This intriguing fixture with its combination of western bronze finish and modern styling will compliment any existing outdoor decor. IP23 rated making this suitable for outdoor use, height adjustable prior to installation, comes with a 3 year guarantee and the gold rods are removable if you wish to simplify the design. Comes supplied with 243.8cm of chain. Also available in this stylish range to co-ordinate is a small, medium or large wall all of which can be viewed and purchased from our website.